I used to hate coffee. It smelled amazing but tasted awful. The bitterness made me grimace and I couldn’t fathom why people actually drank it. Enter the Caribou Caramel Cooler. My Mom drank them often and despite my aversion to coffee, I fell in love with it. Granted, all of the caramel, whipped cream and sugar probably helped a bit. Once I developed corn allergies, I was greatly disappointed that I could no longer drink Caribou. Determined to still have a bit of my former life, I made my own at home. Although the ones I made were delicious and also healthier than the ones from caribou, I was still having health problems. In addition to the homemade coolers, I had also experimented with making lattes for those cold winter days we get up here in Minnesota. If I ever got too busy and my latte cooled, I would add a few ice cubes for an iced coffee. After reading about the health benefits of dandelions, specifically, dandelion roots, I decided to give roasted dandelion root a try. I had no idea what to expect. I was drinking the roasted root of something I’d been taught my whole life was a weed. With my first sip, I grimaced. Yuck! It was very bitter! How was I going to finish off this cup? I loaded it with honey, my usual go-to for tea. It made it only slightly more palatable. I continued to drink coffee every day. I decided to try the organic coffee and I noticed immediately the increase of my health problems I determined that coffee was the culprit behind my eczema flare-ups on my hand, the panic attacks and a general feeling of malaise. I decided to kick the habit. I quit cold turkey. I’m not going to lie, the first day was brutal. I was desperate. I wanted coffee and I wanted it now! Who cares about eczema when coffee was so delicious! 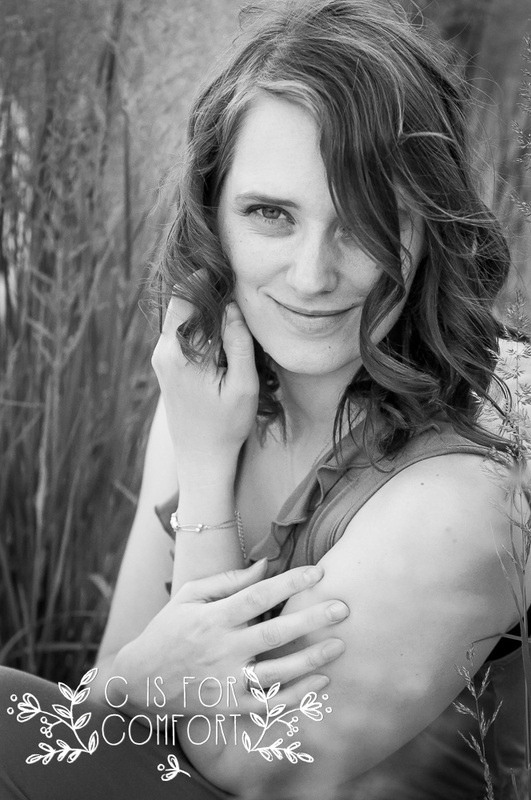 Realizing I sounded like an addict, I was even more determined to give it up. Standing at the cupboard, staring longingly at my coffee, I bypassed it for my basket of tea. That’s when I spotted the roasted dandelion root. A lightbulb went off over my head! Dandelion root tea was bitter, just like coffee! Surely I could treat my tea like coffee and make a latte! I did just that. It wasn’t quite as strong as regular coffee but it was a great substitute! I began drinking it every day and I no longer felt desperate for coffee. The eczema on my hand went away. My panic attacks became less frequent. I didn’t feel as tired. I felt better! 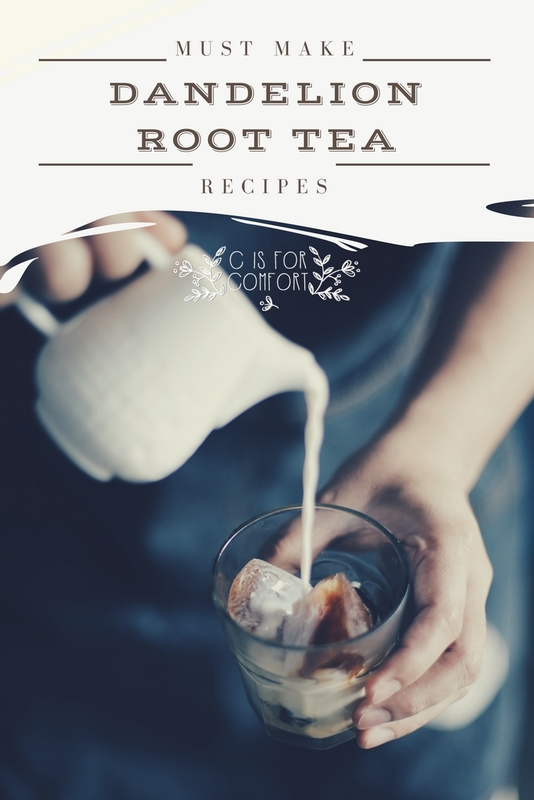 I experimented with different ways to make dandelion root into different versions of fun coffee-like beverages. My favorite is the mock Caribou Cooler. Are you trying to kick the coffee habit? 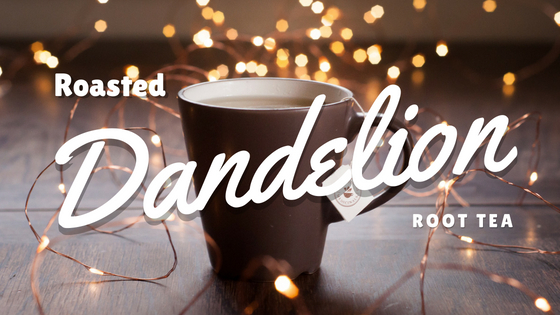 Have you tried using Roasted Dandelion Root as an alternative? Loop tea bag around mug handle. Fill cup 3/4 full with boiling water. Let steep for 10-15 minutes. Remove tea bag and squeeze out remaining liquid. Stir in cream and maple syrup. Enjoy! Loop tea bag around mug handle. Fill cup 3/4 full with boiling water. Let steep for 10-15 minutes. Allow tea to cool. Remove tea bag and squeeze out remaining liquid. Stir in cream and maple syrup. Add a few ice cubes. Enjoy! Loop tea bag around mug handle. Fill cup 3/4 full with boiling water. Let steep for 10-15 minutes. Allow tea to cool. Remove tea bag and squeeze out remaining liquid. Stir in cream and maple syrup. Pour into ice cube tray and allow to freeze completely. Add ice cubes to the brim of a glass. Pour coconut milk over the ice cubes. Enjoy! Loop tea bag around mug handle. Fill cup 1/2 full with boiling water. Let steep for 10-15 minutes. Allow tea to cool. Remove tea bag and squeeze out remaining liquid. Pour in blender or ninja single serve cup. Add in cream, maple syrup, and ice. Blend until smooth. Pour into mug. Put whipped cream ingredients in the blender. Blend until just whipped. Do not over whip or you’ll have butter. Spoon whipping cream onto the tea. Enjoy! I hope you love these recipes as much as I do! You’ll have to let me know if you give them a try! I’ve tried this recipe and it’s really good! You’re right about it being a heslthy replacement for coffee, it’s so addicting!! How delightful. I too suffer from anxiety/panic attacks and have for quite a few years now. The doctor said NO caffeine. I eliminated all caffeine from my diet and subbed sparkling water for soda. I actually like tea, and am excited to try your recipes. Thank you for sharing. I hope you love the recipes! Thank you for the comment! This is brilliant! I never thought to do this… I do LOVE coffee, however, I know there are so many health benefits to dandelion root! Great idea! Thank you for posting! My pleasure! I hope you love the recipes! lol Good luck cutting back! I hope you enjoy the recipes!